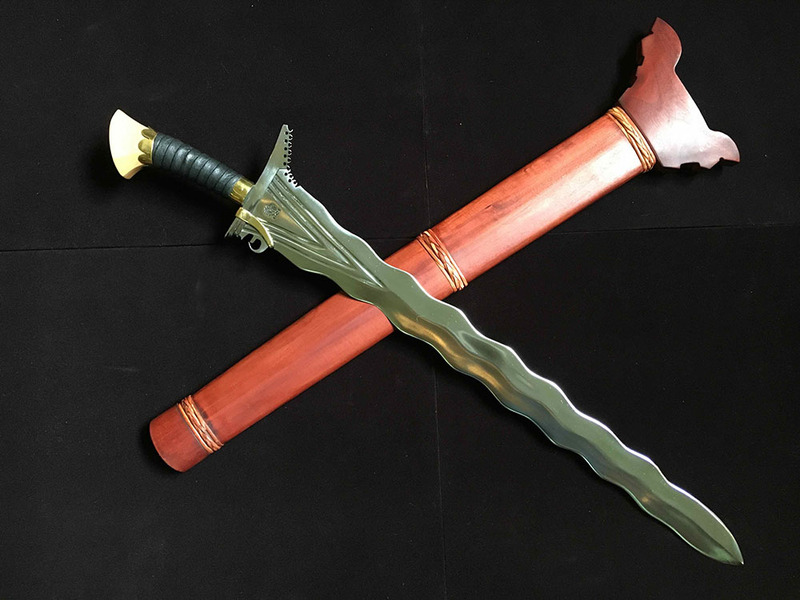 The Kris B is a common sword in Mindanao and used by the Tausug, Samal and Yakan warriors. It is probably more common in the 18th century and has the most waves. Kris B is usually worn by one with authority. 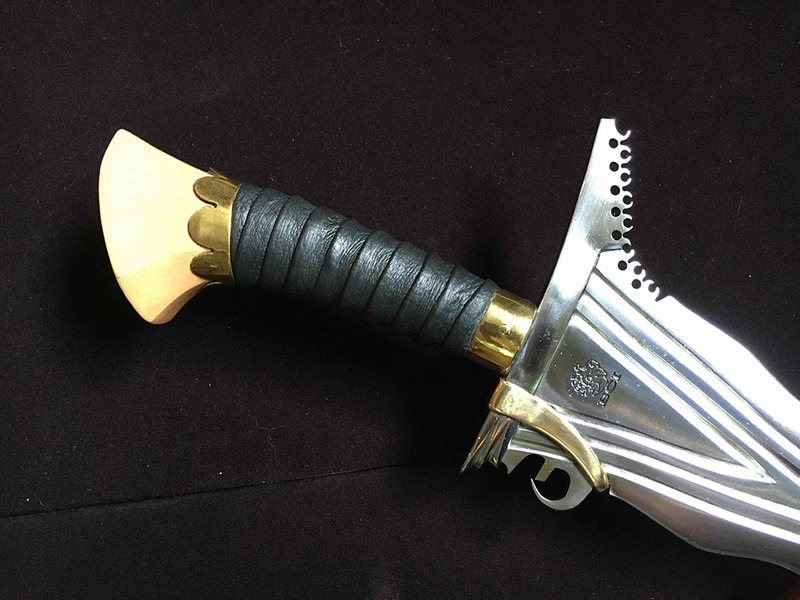 This wavy Kris from the Sulu Archipelago is similar to the Bornean Keris. 5160 Spring Steel Sharpened Blade. Mahogany Wood Handle and Scabbard. Premium Quality Construction. $15 Shipping in the USA from the BCI warehouse in Stamford, CT. $30 Shipping to Canada and $60 to the rest of the world (excluding Europe due to unofficial sword import ban).